Kourosh Dini, author of Creating Flow with OmniFocus, takes us on a tour of his OmniFocus 3 workflows and demonstrates his Zen approach to productivity. Kourosh literally wrote the book on OmniFocus. His critically acclaimed book, Creating Flow with OmniFocus, was originally published in 2009 and offers a wealth of practical advice to support people in using OmniFocus effectively. He just launched the third edition of his book, that has been updated to reflect the myriad of enhancements that came with OmniFocus 3 for Mac, iPhone and iPad, including multiple tags and advanced perspectives. In this session, Kourosh takes us on a tour of his OmniFocus setup and workflows. He also covers some foundational workflow principles and models his Zen approach to life and work. His innovative approach includes a Navigation folder that helps draw his attention to those projects and actions that are most relevant and timely. He manages to keep his system very clean and straight-forward, even though he often has a lot going on in his life. He emphasizes the benefits of making good use of keyboard shortcuts and internal links to OmniFocus projects, tags, and perspective. He also demonstrates practical ways he keeps lists short and simple, even when there are a lot of things vying for his attention. Kourosh Dini, MD is a psychiatrist, productivity expert, author, and musician. He works as a psychoanalyst in private practice in downtown Chicago. His award-winning productivity books include: Creating Flow With OmniFocus, Being Productive, and Workflow Mastery. Kourosh is featured on the Omni Group’s Inside OmniFocus site and was one of the speakers at the OmniFocus Setup event in 2013. He has also been a guest on the popular Mac Power Users and Free Agents podcasts. OmniFocus & Productivity — This website is home to Kourosh's productivity books (Creating Flow with OmniFocus 3, Calm Focus, and Powerful Workflows) and blog. AppleScript: Go To Link — Kourosh makes good use of the Go To Link script that was written by Josh Hollington. He uses Keyboard Maestro to open links associated with actions and projects without having to take his hands off the keyboard. These links reference information within OmniFocus (e.g. a custom perspective or a project) and external references (e.g. a website). 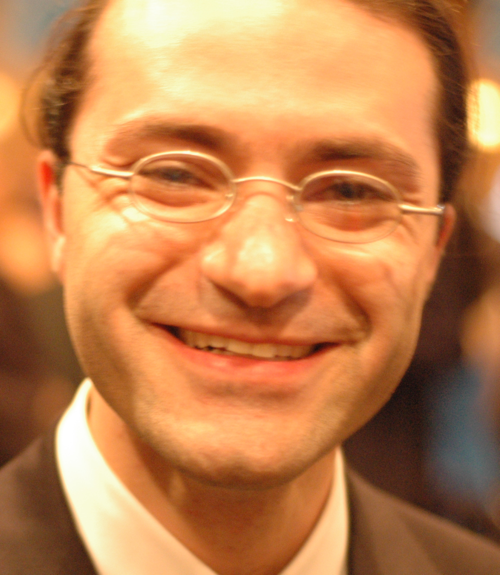 Zen and the Piano — Kourosh is an accomplished musician. If you're looking for a musical soundtrack to help you stay calm and focused, check out his Zen and the Piano album. It's available on iTunes, Apple Music, Spotify, Bandcamp, and Magnatune.